I have quietly been doing a few sewing projects over the past few weeks, on my steep learning curve of self-taught dressmaking. 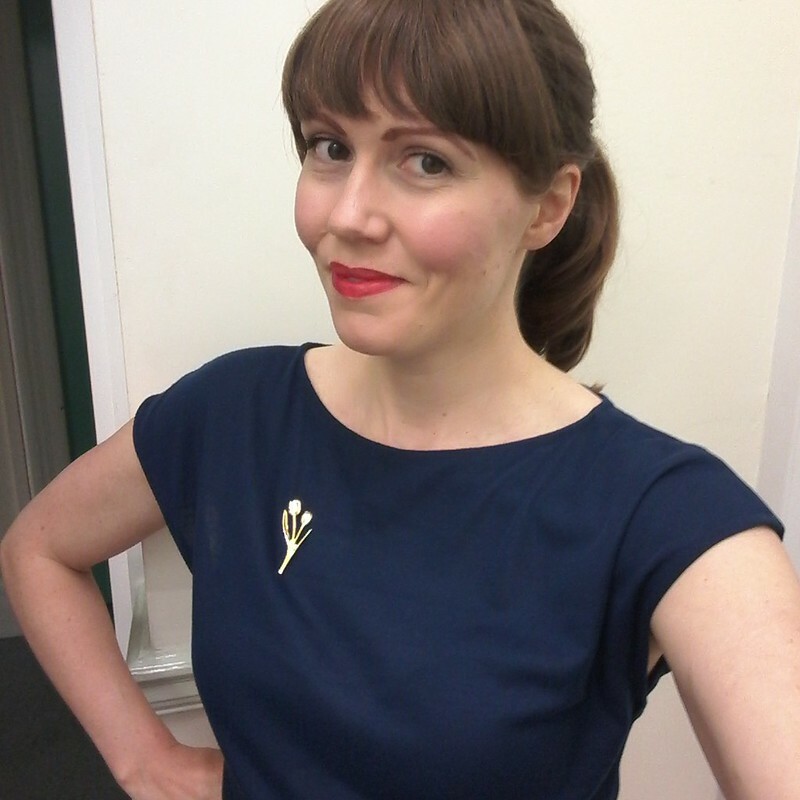 Firstly, I turned a dress past its best into a peplum top. It looks good over a pencil skirt, belted, and I've also worn it over black cropped trousers. It's not as faded in real life as it looks in the photo below, so I'm hoping to get a little more wear out of it before it gets consigned to being a duster. I made some pyjama bottoms to go with the Sorbetto top I made, also out of the curtain fabric from the jumble sale. I doubt I'd wear both pieces together; my husband already calls these my 'Mr Blobby pyjamas'. The pattern is the 'Margot' from Love at First Stitch by Tilly Walden. I'm sparing you my just-woke-up face, it's not pretty! I found some jersey fabric in a charity shop in North Wales for £2, so I hunted for a simple top pattern and found the free 'Natty' top pattern by Addie K Designs. I am really pleased with it, but sewing stretch jersey is a bit fiddly to say the least. My ballpoint needles couldn't cope and I ended up going back to using a regular needle. I think I stretched it a bit in places but you can't tell too much. I've already worn it out of the house, to work one day. I still haven't finished that mock-up circle skirt (metres of hemming to do, a tad boring that bit! 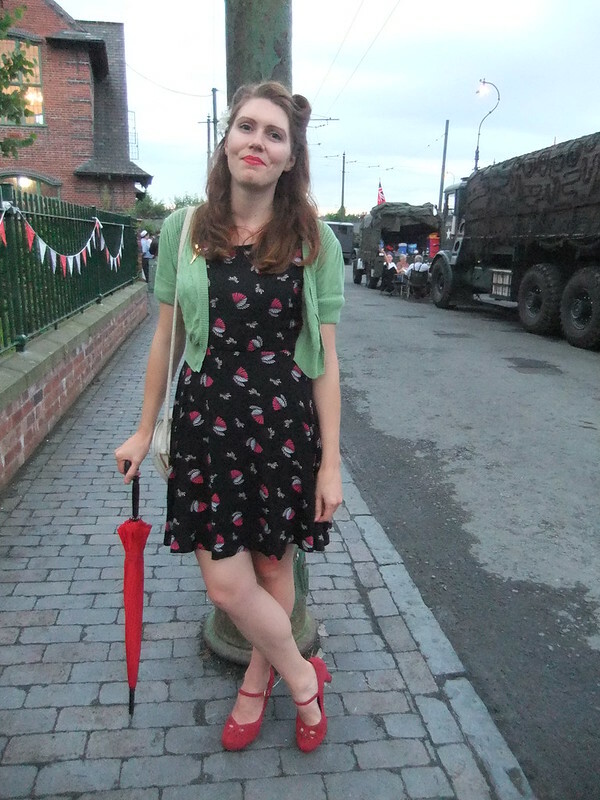 ), but I've made headway on my 1920s one-hour dress, that I'm making from a sheer curtain I found in a charity shop. Unfortunately it still looks very much like a curtain, so there is much more work to be done before it resembles anything lovely and garden-party appropriate. Over the last couple of months I have accumulated so many patterns. My husband came back from a charity shop with a pile for me, bless him. Some super ones and a few dodgy '80s ones, ha! I just didn't notice patterns in charity shops before but now I seem to find them everywhere I go. They're not all my size so I will have to do a bit of resizing but that's another challenge I'm keen to take on at some point. Take a look at some of the patterns I've acquired, which one's your favourite? The beach dress on the bottom left comes with an option to make a matching hat!! I think that pattern is my favourite for that reason. That middle one looks a bit Star Wars doesn't it? 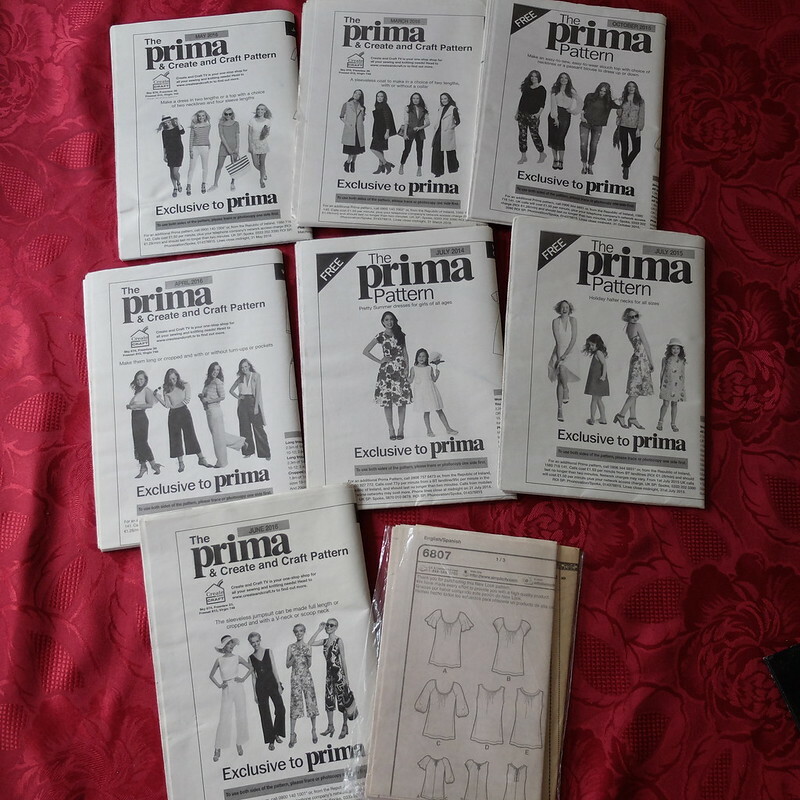 These Prima patterns were a job lot for £1. There's a jumpsuit (1930s beach pyjama potential? 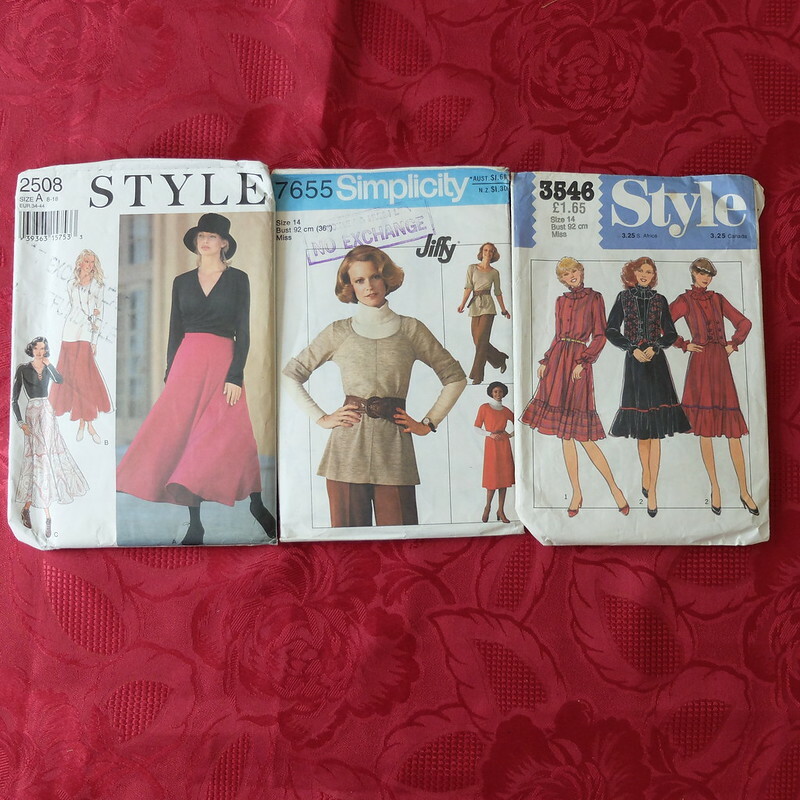 ), high waist trousers, and classic dress patterns. Should keep me busy over the winter! I've got some holiday coming up and have a particularly busy patch at work, and so am not sure when I'll get a chance to make something from scratch again. 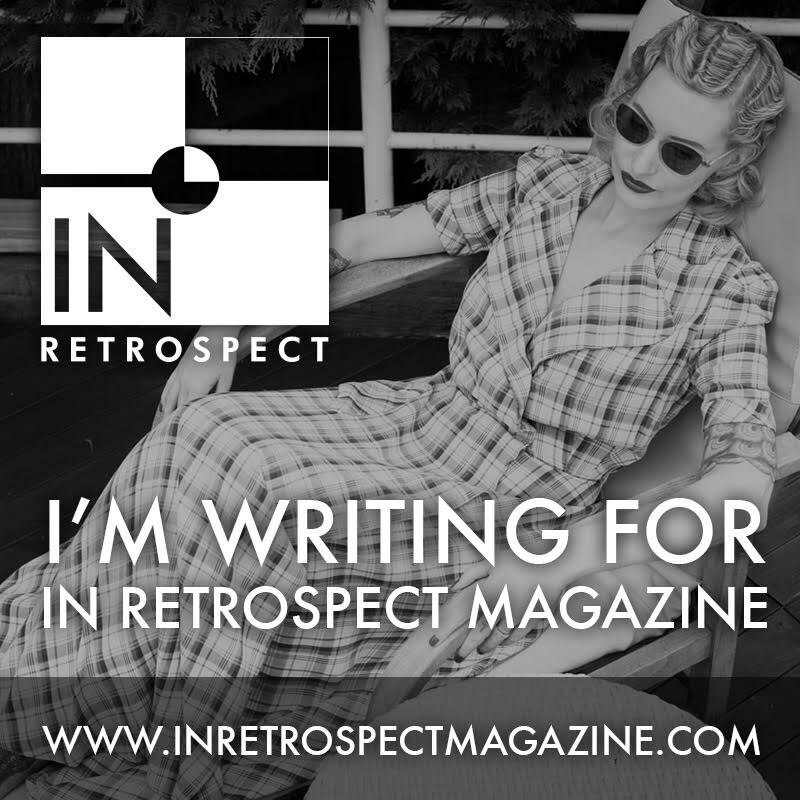 I'll keep you posted when I do complete another project. Sewing sign off, for now. I'd recommend doing a simple top like the Natty in stretch fabric as a practice, it really was ok once I twigged that my stretch needles weren't heavy duty enough for my fabric. I too would love to recreate some Chanel jersey items, hence jumping in at the deep end!! You have really hit the ground running on the sewing front! Well done you! I always love to see other peoples sewing projects, keeps me inspired! 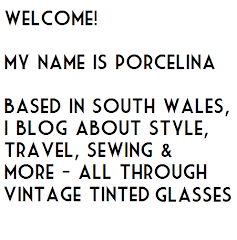 Well inspiration from your lovely self has certainly fuelled my sewing - so thank you! You are just tearing through these projects! It's so impressive! I'm working my way through Love at First Stitch (as well as some other projects) but it is taking me an embarrassingly long time. I have already worn my Margot pyjamas so much that they died and were mended and died again. You've picked up some really cool patterns there, and I look forward to seeing what you do with them! It does take a lot of time, that is the downside! I perhaps got carried away with the patterns but nothing wrong with aiming high!! 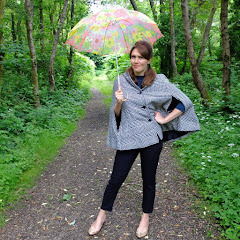 I adore a Jiffy pattern, I always snap them up when I find them - they're a delight to follow! You are killing it with the sewing projects! I'm so annoyed with myself, I haven't even been able to finish my one little sewing project that I started... um, I honestly don't want to think about how long ago. Way to go! You've been very busy! Love like you turned the peplum, it's more wearable now. 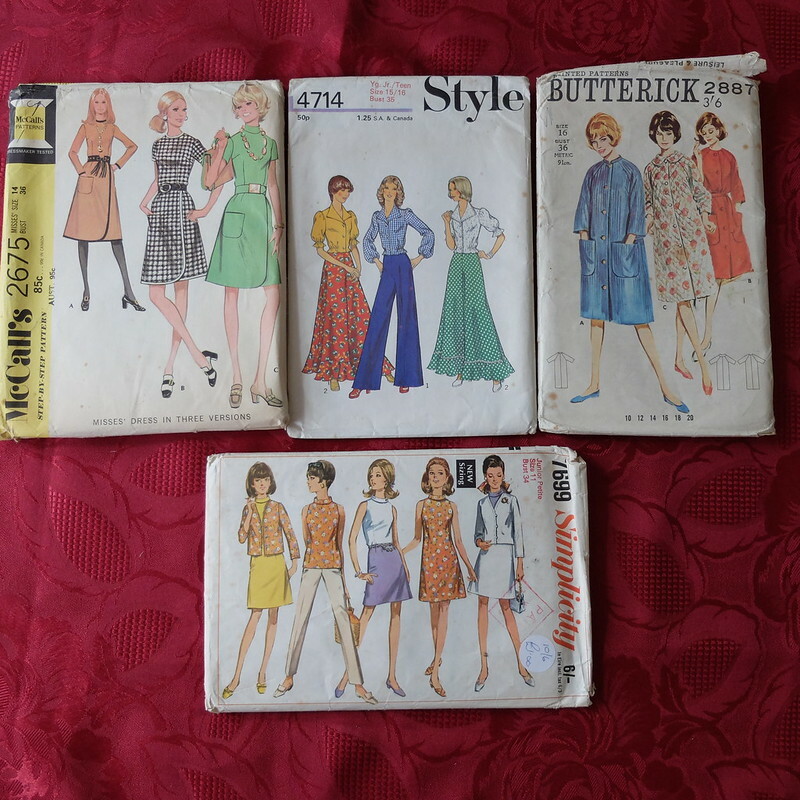 Love your stash of vintage patterns, I'm so jealous! I think that 60's style dress in the bottom right of that one photo has to be the prettiest, but I also that big swing coat :) It's nice to hear that you're enjoying sewing, I wish I could sew too, but I've always been poor in handicrafts. 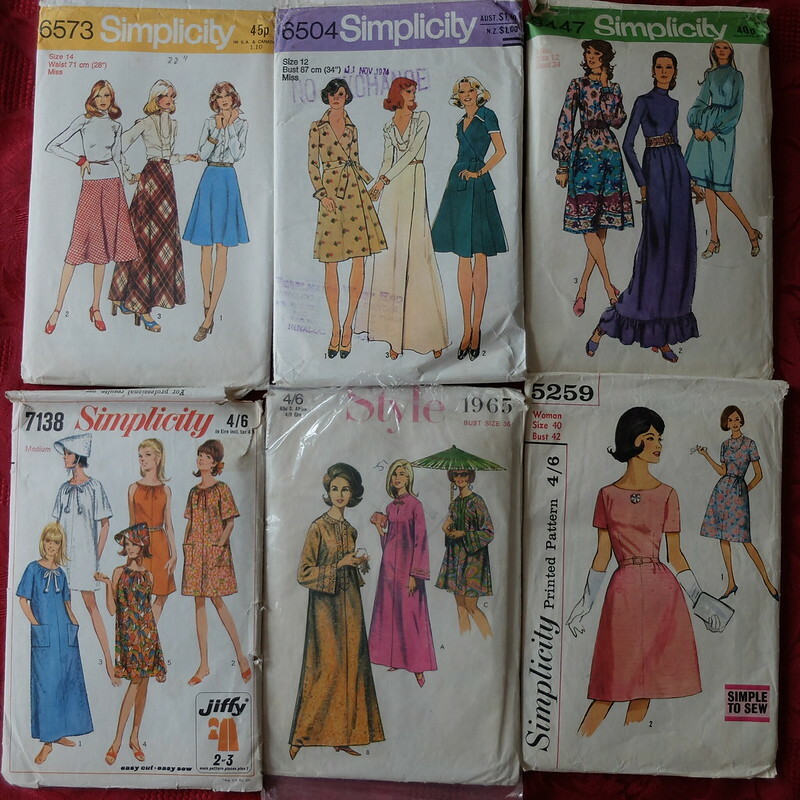 Hard to pick a single fave, but I am rather leaning towards Simplicity 5259. I'd wear that anytime! Oh, well done you! Wearing things you're prepared to wear out of the house is a massive step. Your sewing is coming along so fast, it's really inspirational. 5259 is my favourite. With a slimmer skirt, it'd be perfect!